This article was written on 06 Feb 2019, and is filled under Past Exhibitions. John Milton wrote: “The power of kings and magistrates is nothing else, but what is only derivative, transferred and committed to them in trust from the people, to the common good of them all, in whom the power yet remains fundamentally, and cannot be taken from them, without a violation of their natural birthright.” Organized by UW-W faculty members Jeff Herriott, Nick Hwang and A. Bill Miller, this exhibit explores our collective willingness to surrender personal data through the use of social and online media. Digital games designed by the trio demonstrate the difficulty of navigating the internet without losing personal information. In addition to the faculty members involved, research apprentices include: Leah Blasczyk, Charlie Cruz, Wesley McWhorter, Sydney Myers, Alec Ochowski, and Nick Spaeth. 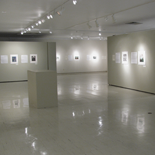 In addition to SUFAC, special funding provided by the UW-Whitewater FIRE Grant, College of Arts and Communication Interdisciplinary Collaboration Award and Undergrad Research Center’s Research Apprentice Program have provided support for this exhibit.